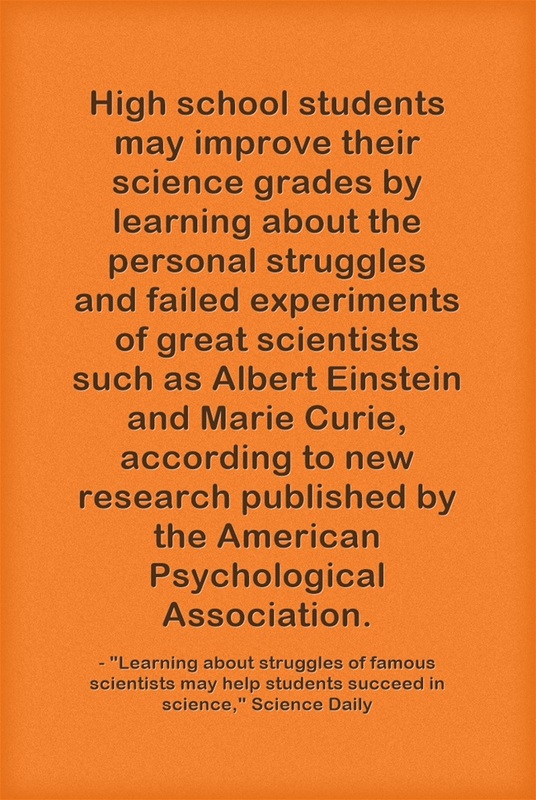 Learning about struggles of famous scientists may help students succeed in science is the headline of a report on a new study that found student achievement in science increased when students learned about the struggles and failures of famous scientists. In fact, the study found, those that didn’t learn about those failures ended up getting lower-grades than they had received in the previous marking period. Researchers said that the reason was because those who learned about the mistakes saw the scientists as more like themselves, while the other group saw scientists as having natural talent (growth mindset, anybody? ).